The introduction of smartphones changed the telecom industry forever. Retail distribution became a key component leading to an outburst of new sales channels and increasingly complex supply chain networks of OEM’s, carriers and stores/distributors. With the focus on Average Revenue per User (ARPU), having the right product at the right place to deliver the customer experience has never been more critical, or more complicated. Short product lifecycles require carefully managed stocks to avoid lost value and obsolescence. High cost, value and margin products mean that inventories can significantly impact balance sheets and cash flows. Sales usually include not just the phone, but also the service contract. In order to maximize Average Revenue per User (ARPU), telecoms need the right stock in place to avoid lost sales. Product availability is even more important to ARPU in commoditized markets where consumers focus more on price and availability than brand preference. In such a complex and challenging environment, OEMs, operators and retailers need to align their efforts to improve stock optimization and transform retail stores and online purchases to deliver positive experiences for customers. ToolsGroup creates a Dynamic Response Network through the integration of demand planning and sensing and multi-echelon inventory optimization enabling Telecom operators and retailers to maximize the Average Revenue per User (ARPU). In this network, demand is sensed at the stores and translated into demand signals propagated through the entire supply chain of the stores/distributors, the operator and the OEM suppliers, such as Apple, Nokia and Samsung. ToolsGroup’s SO99+ addresses the challenge of synchronizing retail demand and supply by offering a single integrated system that can fine tune forecasts with demand sensing and replenish inventory by recommending new orders and/or reallocation from suppliers. This new approach replaces store-initiated orders with a new centralized demand-driven planning model, which automatically generates daily replenishment orders. 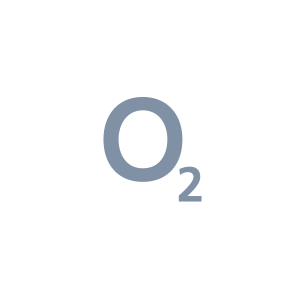 For leading digital communications company O2 UK, customer service is everything. That means making sure the right products, in the right numbers, are available on demand. When it comes to planning and execution, O2 wanted to migrate from a manual, supply-driven approach with multiple standalone systems, to one based on a centralized single model that enables its trading teams and suppliers to collaborate in a demand-driven process. O2 chose ToolsGroup SO99+. The system supports the entire extended supply chain – from handset supplier to end customer – and reduces days of stock, increases availability and improves forecast accuracy. Our partnership with ToolsGroup facilitated collaboration with our internal teams and suppliers. This enabled us to innovate for our customers, invest in our people, and deliver value to our shareholders.